String of Diamonds Watercolor – Let's Paint Nature! Did you ever hear someone groan when it started to rain? Oh, but the beauty! So gentle, so rare…..if you look for it. See past the sunless gray sky. 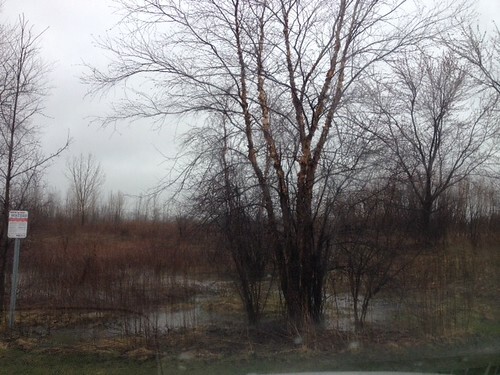 See past the soggy ground. See past not having to escape the house without a coat. Look deeper and be amazed, for little blessings are in all places waiting to be uncovered. The rain lasted for hours, but something magical happened. 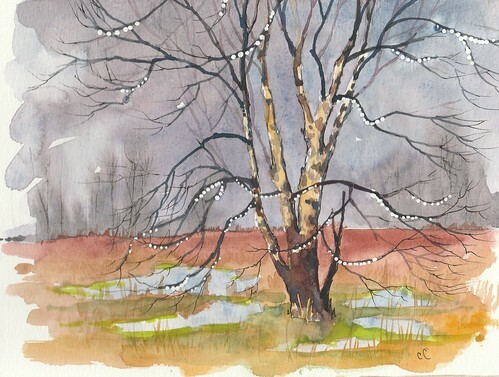 The raindrops held on to every branch on this paper birch and became illuminated with light from behind. Suddenly, the tree was adorned with stings of diamonds everywhere. I bet it would have stolen yours as well had you witnessed this gift in person. Well, I’m happy to offer it here…to send you a sparkle of joy. But oh how cameras cannot do justice! We are blessed with the sunset. We are blessed with the smallest of flowers, and yes, we too are blessed with the rain. I wish I could pocket the diamonds you have painted there; I would be the richer for it. Ha Ha Ha! Yes, rich indeed. If only it were that easy! Rain is refreshing to parched souls. It is a gift to look for and find those special treasures – the sparkling diamonds. Love your watercolor version, too. Yes, very refreshing. Thanks Patti! Wonderful! You have cultivated a gift of seeing beauty in the smallest details most would overlook.